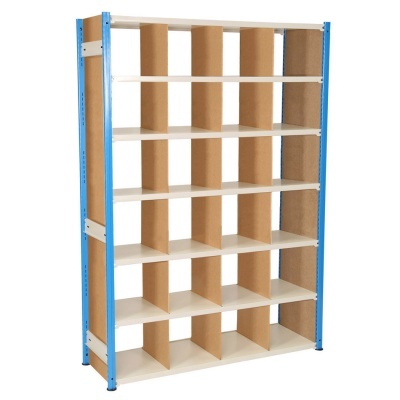 Staying organised within retail stockrooms and general storage areas is not always easy. 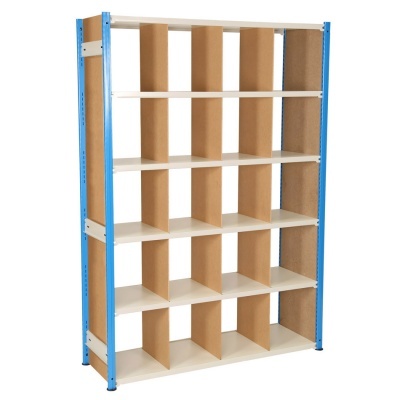 Space is usually limited, stock can be going out as fast as it comes in and it can be hard to find items quickly. 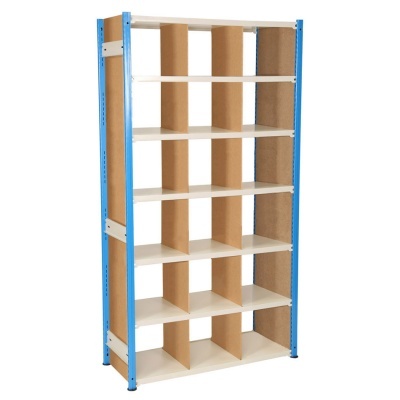 We feel your pain, but this Trimline pigeon hole shelving unit just might be the answer your storage problems. 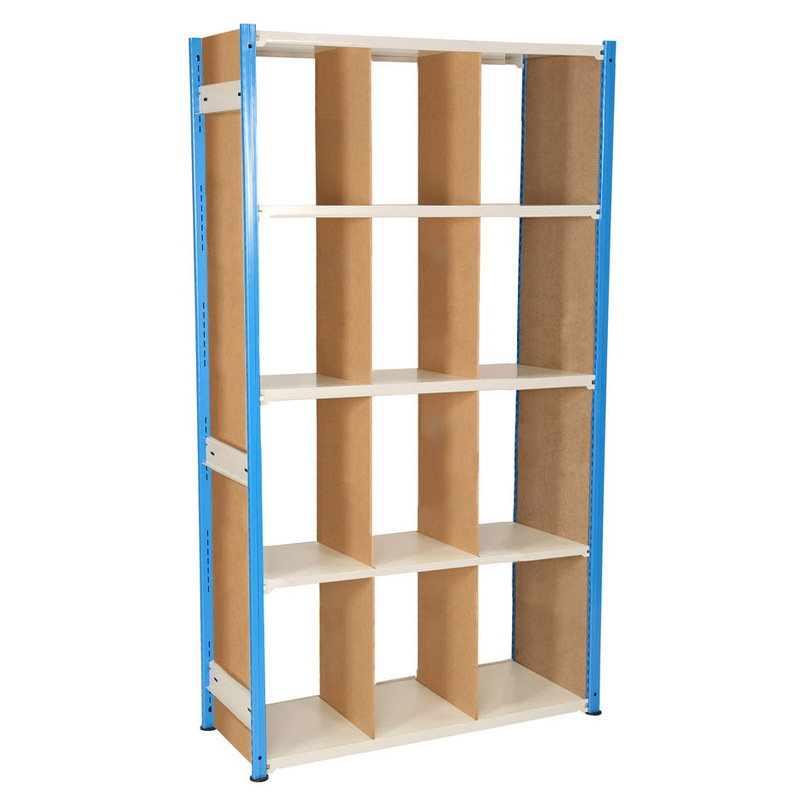 Constructed from our popular Trimline shelving components, this pigeon hole unit not only provides a stable, strong and durable structure for your goods but also gives practically sized individual storage compartments. 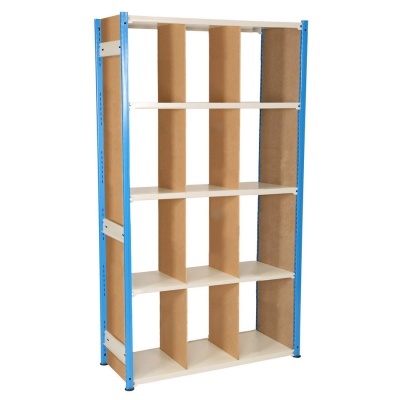 These cubby holes can be used to segregate different kinds of products or you could just give each SKU its own storage location to make finding items so much easier. 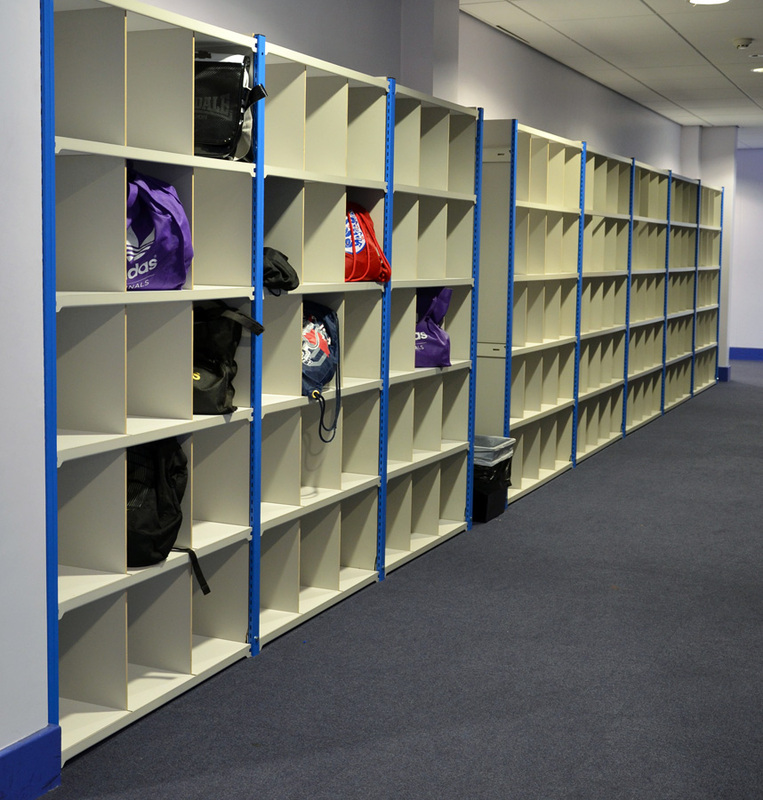 We offer a number of standard configurations , choose from 2 width options with either 5, 6 or 7 shelves to create a different number of total pigeon hole compartments. 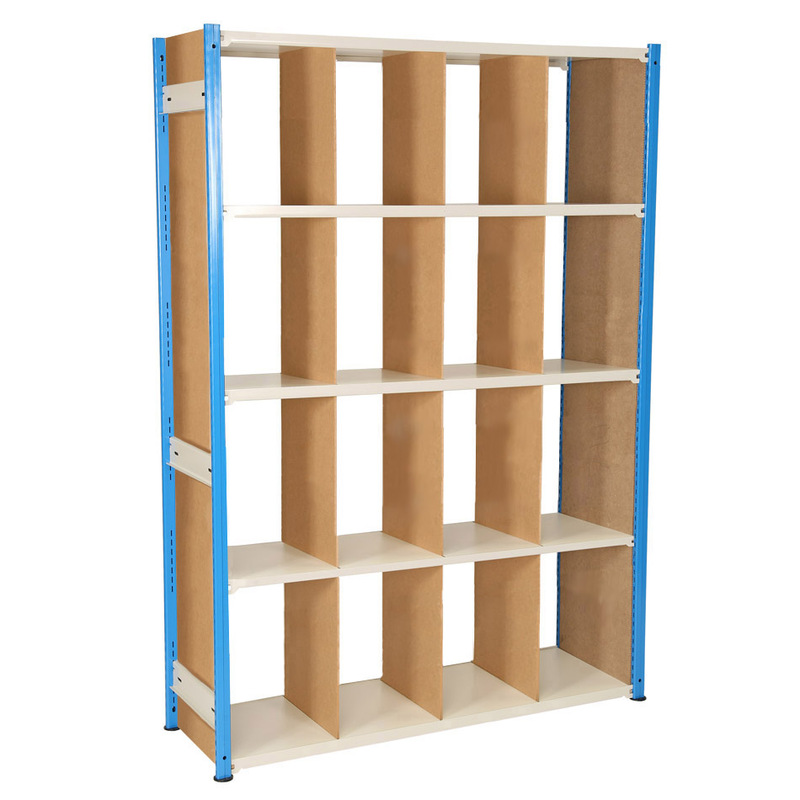 Choose starter bays if you want separate standalone bays that you can place exactly where you need them or use cheaper add-ons to save money when creating long runs of pigeon hole storage (starter bay always required). 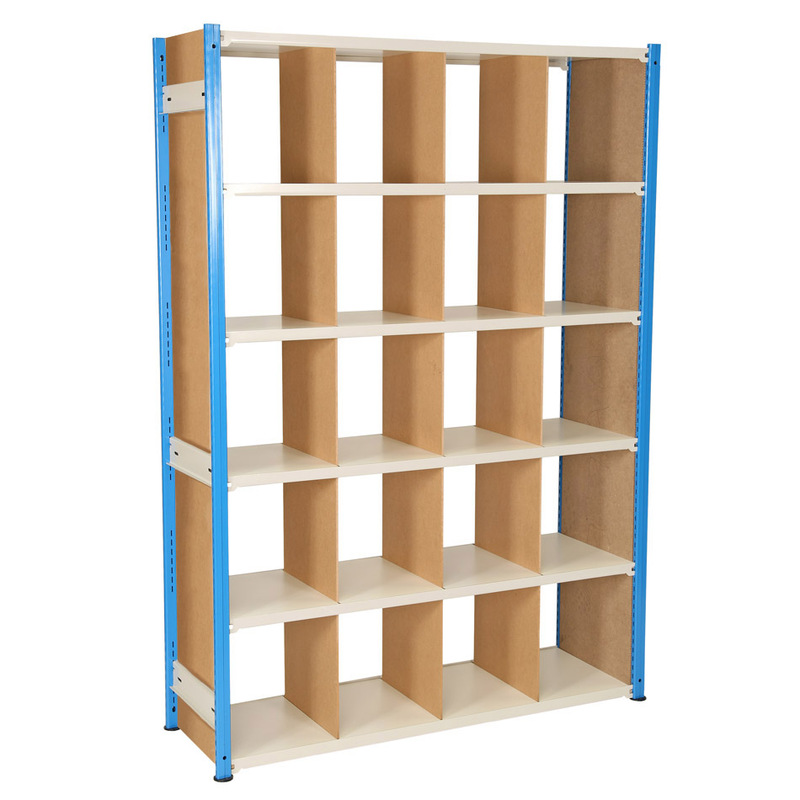 The E-Z-Rect Trimline shelving system is designed for commercial applications and for individuals who recognise the value in a high quality, long-lasting storage system. 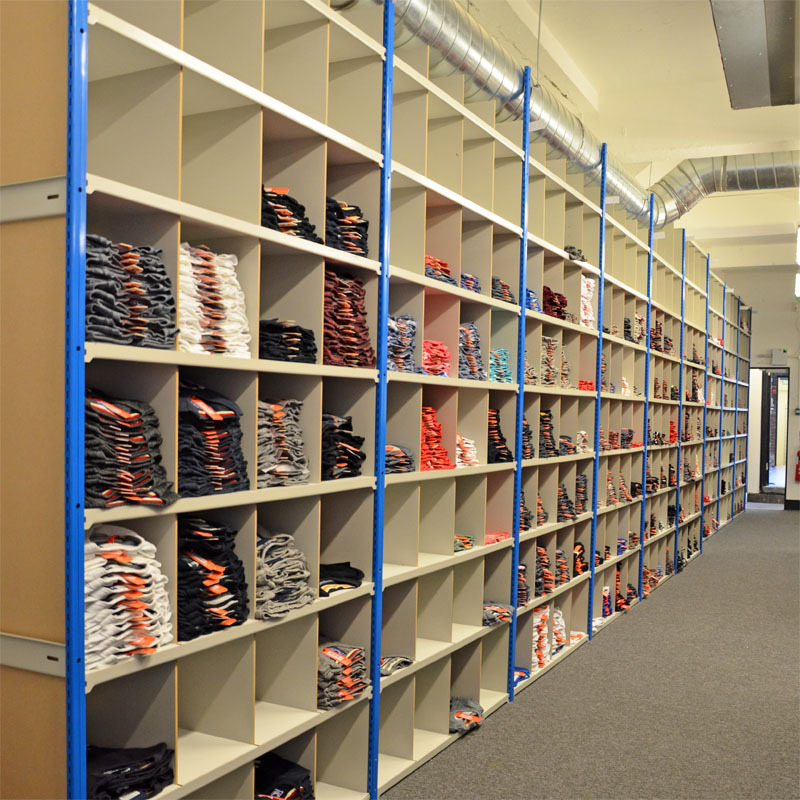 Many of the UK’s leading retailers and fashion brands have upgraded to Trimline after being disappointed with inferior (cheaper) alternatives. 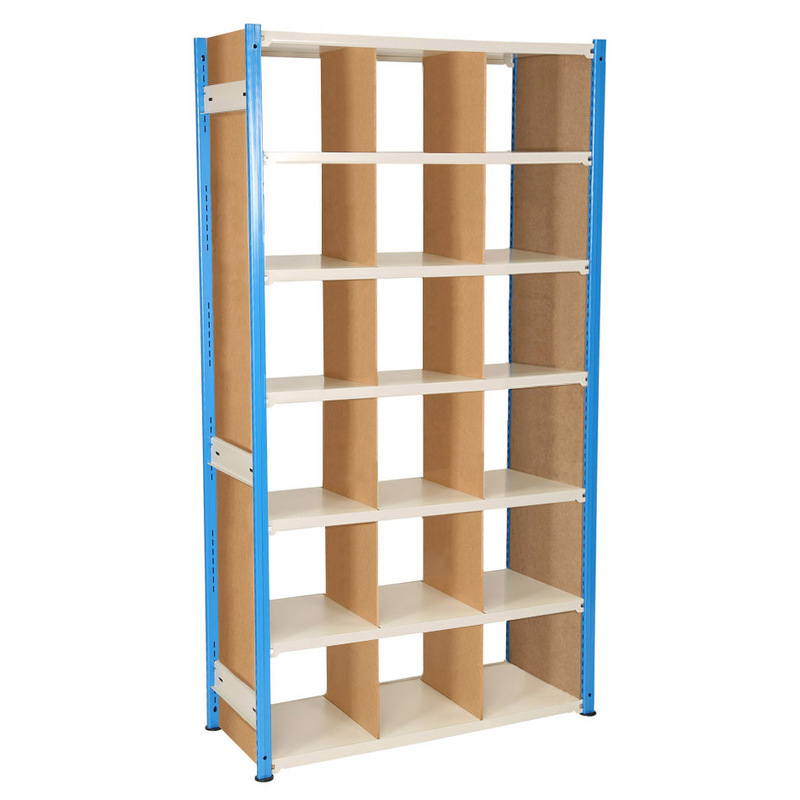 Create your perfect stockroom today by ordering pigeon holes securely online or give us a call to discuss your requirements. 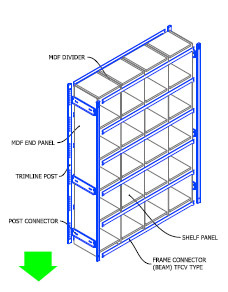 Click on the image link (right) to view our assembly instructions. 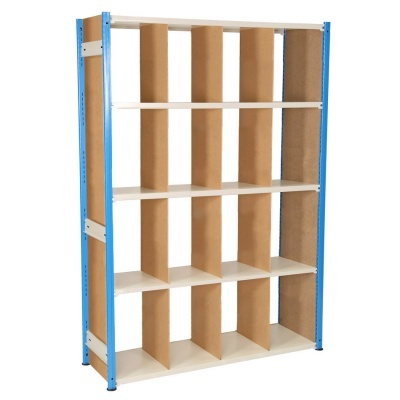 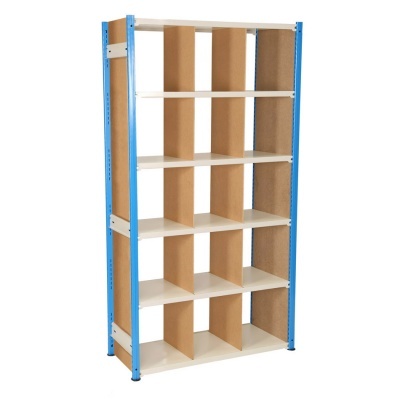 Update: New pigeon hole shelving trolleys are now available, contact us for further information. 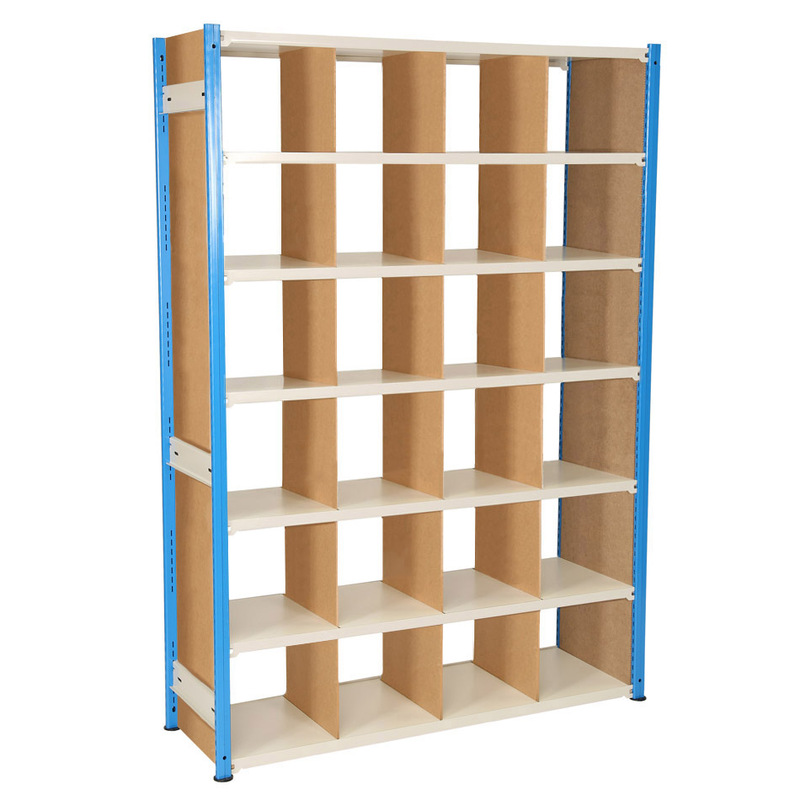 Note: Some bays will have unused slots in the post which can be left spare at the bottom or used to create rows of taller compartments.